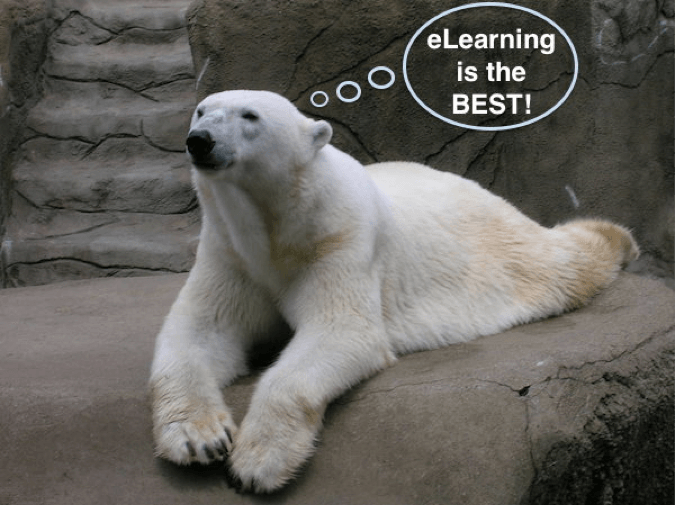 So what is eLearning, really? eLearning can be any situation where you use technology to learn outside of a traditional classroom. Originally, it was only delivered via a desktop computer. This was in 1960 when the first computer based training program was created for students at the University of Illinois. The course was called PLATO-Programmed Logic for Automated Teaching Operations. Sounds riveting, right? Don’t worry—eLearning gets much more exciting, and I’ll get to that soon. 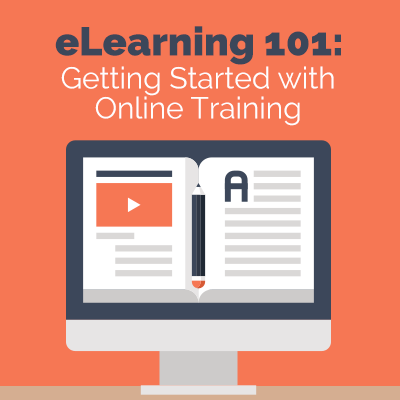 eLearning took off in the business world around 2000, when companies realized that online training was a cost-effective, timesaving way to share information with their employees. As a bonus, eLearning also happens to be great for the environment, although this was way before the “go green” movement really started. I guess we—and the polar bears—just got lucky there! This is where it starts to get complicated. As I said earlier, eLearning can be any situation where you use technology to learn outside of a traditional classroom. But, if you’re not learning out of a book, where is the information coming from? You need a tool—usually a learning management system, or LMS—to deliver that learning to your employees or students. In addition, they need some form of technology, such as a computer, to view the eLearning material. Today, they can use their smartphones or their tablets too. It’s exciting that learners can access your course anywhere, anytime on their phones or tablets. However, when companies first started delivering online training, those courses were hours long and packed with pages of information. That’s not really something your employees want to be downloading onto their phones and going through while they’re on the subway commuting to work. What eLearning authoring tool you choose matters—especially for mLearning. Honestly, the authoring tool you choose can make or break your project. Sure, a really good instructional designer can create an amazing course with anything—even PowerPoint—but it’s going to take longer. Why waste time if you don’t have to? I’m getting ahead of myself. What is an authoring tool? It’s software that allows you to create interactive content—without needing programming skills. For example, Lectora® Inspire is a WYSIWYG editor—“What you see is what you get.” You don’t need to know how to code it so that an image appears when you mouse over text; you just tell Lectora that’s what you want, and it codes it for you. All you see is your sweet interaction! Take a look at this interactive process chart created in Lectora. 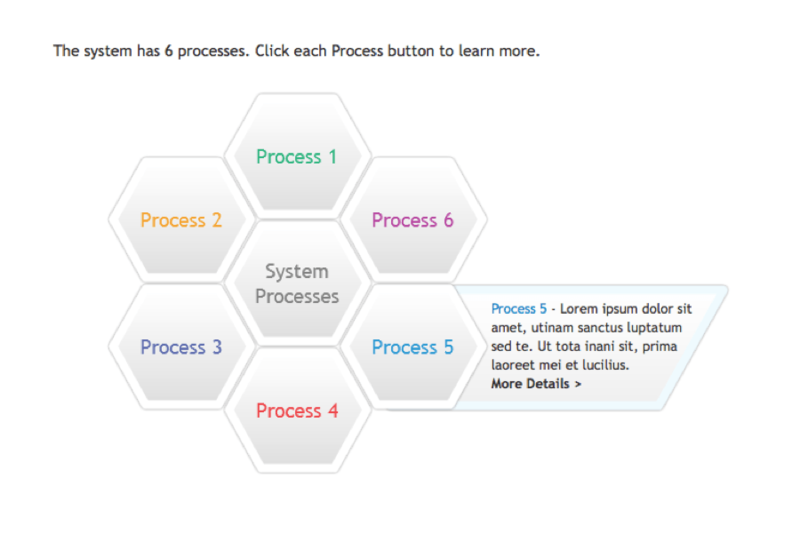 When viewed in a web browser, you can click on the different processes and more information magically slides out. The developer of this chart didn’t have to code anything—Lectora did it all! That’s the beauty of authoring tools. You can choose any authoring tool to create your eLearning; just keep in mind the end user and device that you’re creating content for. Lectora is very flexible because it outputs content as HTML code, so it can be viewed on any device, unlike other tools that build Flash content. Let’s summarize this little eLearning 101 lesson (so you can get to recess!). Information delivered via technology to a learner anywhere, anytime. Created using an authoring tool. Usually delivered and tracked with a learning management system.